In February 2016, Vodafone Group Plc (‘Vodafone’) issued a two-tranche mandatory convertible bond (‘MCB’), the first tranche of which matured in August 2017 and the second tranche of which is due to mature in February 2019. As a result, Vodafone today announces it is to commence a new irrevocable and non-discretionary share buy-back programme (the ‘Programme’). The sole purpose of this Programme is to reduce the issued share capital of Vodafone to avoid an increase in the issued share capital as a result of the maturing of the second tranche of the MCB. In order to satisfy the redemption of the second tranche of the MCB, a maximum of 799,067,756 shares will be issued on 25 February 2019 at a conversion price of £1.8021. This reflects the conversion price at issue (£2.1730) adjusted for the pound sterling equivalent of aggregate dividends paid in August 2016, February 2017, August 2017, February 2018, August 2018 and February 2019. As announced on 19 February 2016, when the MCB was issued Vodafone also entered into an accompanying option structure. This option structure will ensure that the total cash outflow to execute the Programme will be broadly equivalent to the £1.44 billion raised on issuing the second tranche of the MCB, regardless of any differential between the conversion price and the ordinary share price during the execution of the Programme. Therefore, the maximum pecuniary amount allocated to the Programme is £1.5 billion (taking into account money received or paid under this accompanying option structure). The Programme will be financed out of the proceeds from Vodafone’s Verizon loan notes, which Vodafone received in two tranches as partial consideration for the sale of its 45% stake in Verizon Wireless in 2014. Vodafone received US$2.5 billion in cash in May 2018 following the redemption of the second tranche of these loan notes. Vodafone gave irrevocable and non-discretionary instructions on 25 January 2019 to J.P. Morgan Securities plc (‘J.P. Morgan’) in relation to the Programme which will commence on 28 February 2019 and will end no later than 20 May 2019 (the ‘Designated Period’). 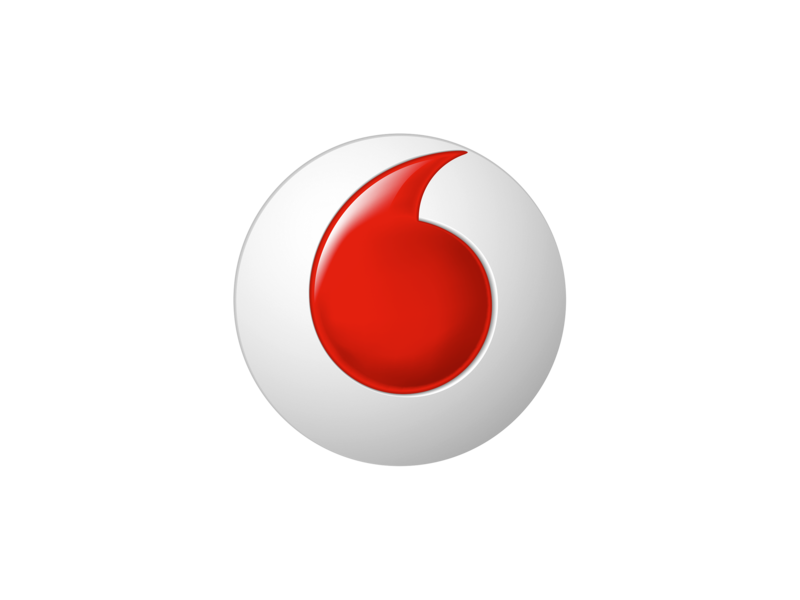 J.P. Morgan will act as principal during the Programme and will make its trading decisions concerning the timing of the purchases of Vodafone’s ordinary shares independently of Vodafone. The number of ordinary shares permitted to be purchased by Vodafone, pursuant to the authority granted by the shareholders at the Annual General Meeting of Vodafone on 27 July 2018 (the ‘2018 AGM’), is 2,667,653,504 ordinary shares. The number of ordinary shares to be purchased under the Programme will not exceed 799,067,756 ordinary shares and is therefore within the 2018 AGM approved limit. The purchased shares will be held as treasury shares. Pursuant to the terms of the Programme, J.P. Morgan may elect to purchase Vodafone ordinary shares and sell such shares to Vodafone at the volume weighted average price per share it paid for the shares, and/or sell to Vodafone ordinary shares it already holds at the start of the Programme as a result of its role in the option structure entered into by Vodafone when the MCB was issued. The agreed terms of the Programme include an incentive/rebate fee payable from Vodafone to J.P. Morgan, which will be calculated based on the price paid by Vodafone for any ordinary shares J.P. Morgan purchases pursuant to the Programme and/or the price paid by Vodafone for any ordinary shares sold to Vodafone by J.P. Morgan which J.P. Morgan already holds at the start of the Programme, as compared to the volume weighted average price for such ordinary shares on the days which J.P. Morgan elects to sell such ordinary shares to Vodafone as part of the Programme during the Designated Period. Any purchases of ordinary shares by Vodafone in relation to this announcement will be made on the London Stock Exchange and effected within certain pre-set parameters and in accordance with the authority granted by shareholders at the 2018 AGM, the Market Abuse Regulation 596/2014 and Chapter 12 of the Listing Rules and will be discontinued in the event Vodafone ceases to have the necessary general authority to repurchase ordinary shares.